UK government efforts to bolster trade and political ties with Egypt have come under fire due to the ongoing detention of an Irish teenager. Human rights groups fear the youth could face execution. 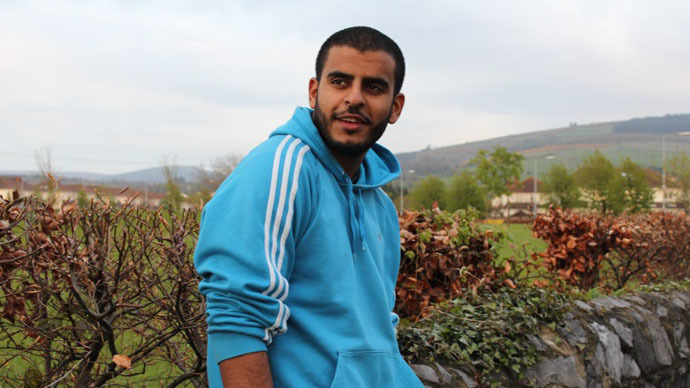 Ibrahim Halawa, 19, has been in prison for 19 months, having been arrested in a Cairo mosque after seeking shelter during a demonstration in August 2013. He had been visiting family. UK human rights advocacy group Reprieve released a statement on Tuesday pointing out both Halawa's plight and the increasingly close business ties between Britain and the Abdel Fattah el-Sisi regime. There are also plans for FCO minister Tobias Elwood to attend a further conference in Egypt this month, alongside London Mayor Boris Johnson. Despite being a juvenile at the time of his arrest, Halawa is being tried as an adult alongside hundreds of activists, journalists and protestors. He is among nearly 500 other detainees who have been held and collectively charged with causing criminal damage and death. During his detention it is alleged he suffered beatings and a bullet wound to the hand. At one point he shared a cell with Al Jazeera journalist Peter Greste, an Australian national who was freed last month after a high-profile campaign. On Monday, Halawa was moved to a prison facility at Wadi el Natrun, specially constructed for mass trials. In a statement, Reprieve’s death penalty team head Maya Foa said, “Economic development must go hand-in-hand with respect for human rights – but while the Egyptian government presides over a wave of human rights abuses, the UK’s ‘business as usual’ approach is giving it the imprimatur of approval. This is both inappropriate and untenable. The UK's attempts to garner closer business relations with Egypt come at a time when Russia is also making efforts to strengthen ties. In 2014, Egypt and Russia signed a preliminary deal for military equipment estimated to be worth $3.5 billion.